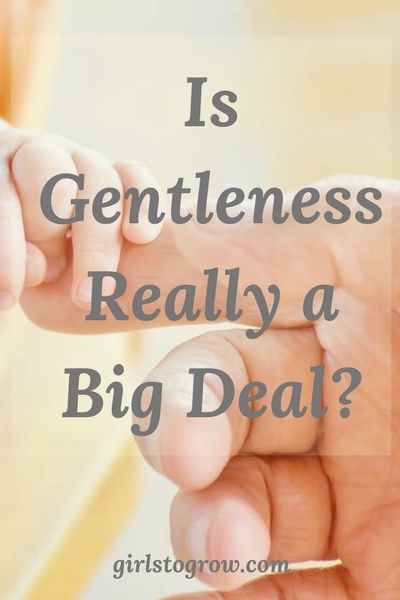 Is Gentleness Really a Big Deal? As I realized which fruit of the spirit we’re going to look at in February, I was a little underwhelmed. I mean gentleness just doesn’t sound very exciting. I can get behind love, joy, and peace! Those sound like big fruits that I can experience in my life in a lot of helpful ways. Even longsuffering seems so far beyond my reach at times that I can get excited about seeing how the Holy Spirit is going to produce it in my life. But gentleness? That would be an easy one to overlook. It also seems like something I should be able to muster up on my own without the Holy Spirit’s help. I love the use of the word “tender” there. When I think about God’s gentleness with us, His children, I recognize how blessed we are that He is tender toward us. His concern, sympathy, and compassion are always present. And as I think about that definition a little more, I have to ask myself if gentleness is actually part of my life. Do my words and actions reflect kindness? Am I mild-mannered? In other words, not given to extreme emotions. I’ll just say that I live with two teenage girls, so I know what extreme emotions looks like! Yet 2 Timothy 2:24 commands us to be gentle. As always, whether or not we’re producing a certain fruit of the spirit is often displayed first at home. Odd as it is, it often seems that we’re more considerate of strangers than our own family members. And because I usually have ample examples of how I failed to demonstrate a fruit of the Spirit, here’s one for gentleness. A couple of weeks ago, I needed to address a situation with one of our daughters. It was only a minor issue, but I was a bit worked up. (Can you say extreme emotions???) I walked into her room ready for a confrontation. My tone and my words were harsher than they should have been. And after it was over (sadly, instead of before), I realized that I could have accomplished the same thing – actually probably a better outcome – if I’d had a kind tone and gentle words. In fact, don’t we all respond better when we’re spoken to with gentle words? Even when confrontation needs to happen, we can still approach it in a gentle manner. Note Jesus’ gentleness found in one of my favorite New Testament stories shared in John 8:1-11. The Pharisees bring before Him a woman caught in the act of adultery. 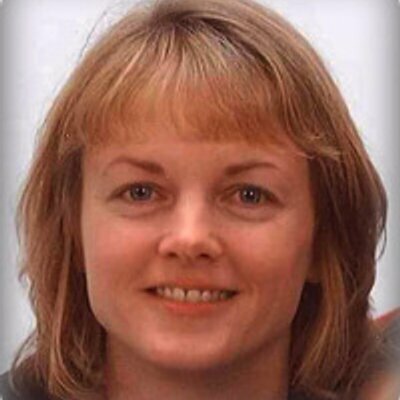 After her accusers leave the scene, convicted about their own sin, Jesus says to her, “Neither do I condemn thee: go, and sin no more.” He addresses her sin problem, yet offers compassion and forgiveness. I want the gentleness of Christ to shine through when I interact with others. I found this quote at Focus on the Family. “It [gentleness] is a tender, compassionate approach toward others’ weaknesses and limitations.” So this fruit of the spirit will allow our hearts to be tender to the hurts and burdens of others. We will speak the truth kindly and with love. So, upon further examination, I think we’d agree that gentleness is a powerful fruit. May we allow God’s Holy Spirit to let it show forth in our lives as we deal with our husbands, children, and all of those around us today. Let’s pray that our lives will be marked by the same tenderness and compassion that Jesus showed. “We’re more considerate of strangers than our own family members” – I *just* had a conversation with Will about this yesterday! We were talking about being considerate to guests & visitors, that when we have company we can’t be as brash as we act when it’s just our family. While that’s still completely true, you’ve just given me a reminder that we also need to work on toning down the extreme emotions in our natural family life when it’s just the four of us, and instead be more gentle with each other. I’ve been working on being more gentle with my children lately because I tend to be harsh in my tone of voice or sarcastic. And that’s wrong. So thank you for this reminder and encouragement! As a matter of fact, I just came upon an article that will help me with my tone of voice. I hope to write a blog post about it soon. I look forward to reading that post! !